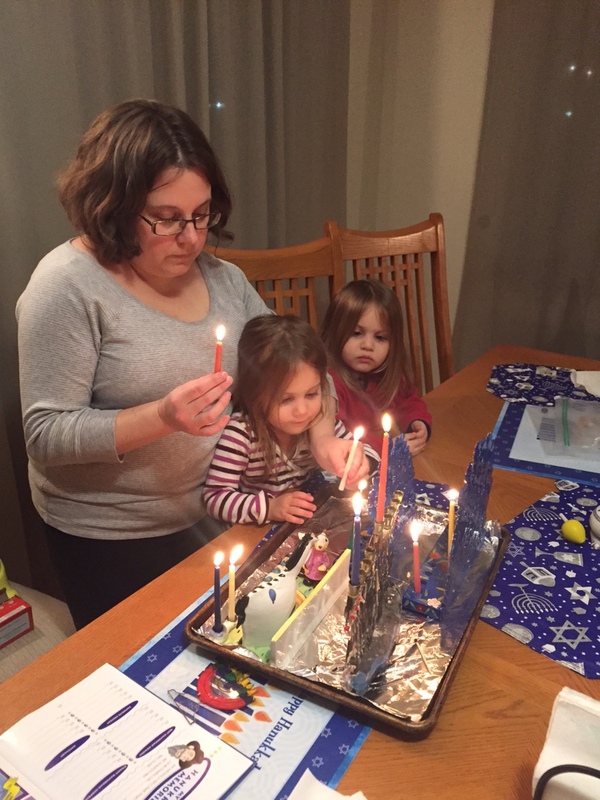 We've celebrated Chanukah, and are now rounding the corner to enjoy Christmas, which will be followed by ringing in the new year. 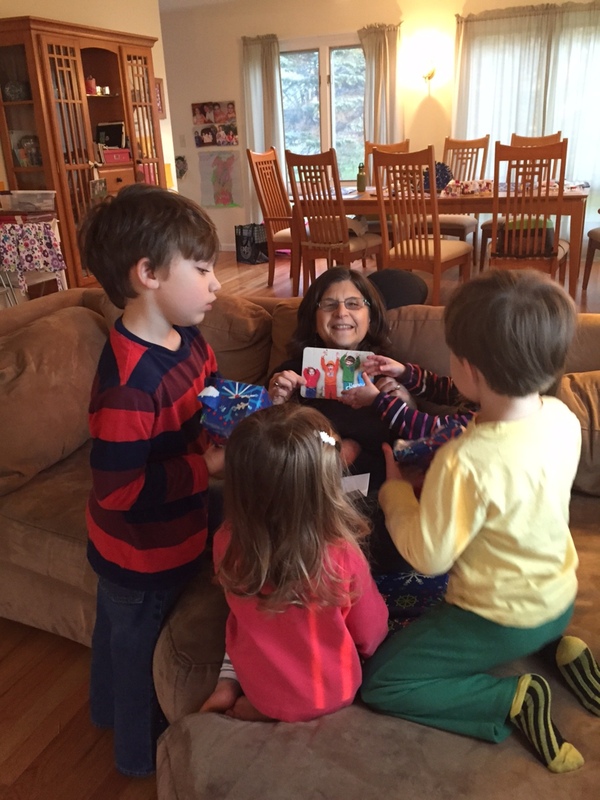 The kids are all able to understand and participate in holiday traditions at their own levels, and it's fun to watch. 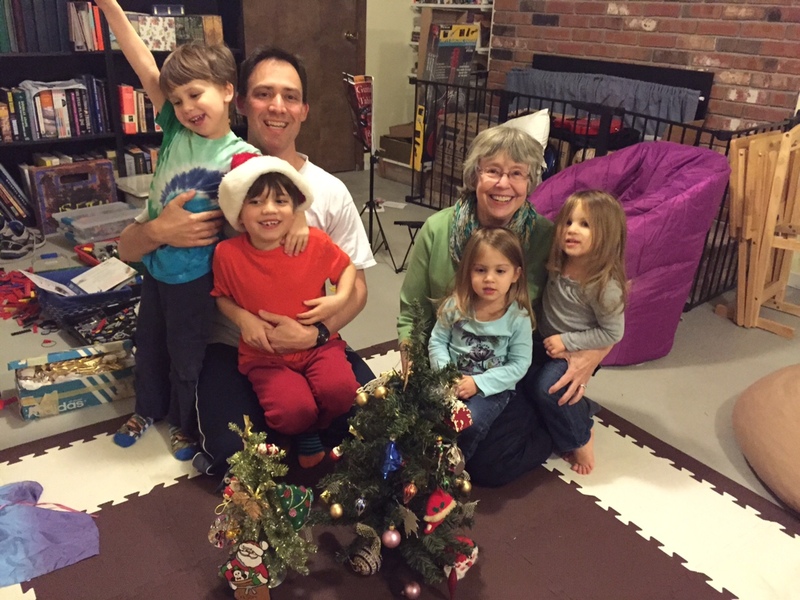 Family traditions are important to me, and I think we're providing those in our household, be it at holiday time or any other time of the year. "They" say "the days are long but the years are short," and this seems to ring true as the days get shorter and the nights get longer and fall turns to winter. We're just happy to have many faces to kiss and hands to wipe. There will always be someone with a cold, someone who could be nicer to a sibling, someone who needs some help with something in school. But now more than ever, with so many global issues in turmoil, I am grateful. So grateful for the faces to wipe, the "me firsts" to negotiate. Grateful that my children want my lap to expand to hold all four of them at once. Grateful for an evening of holiday camaraderie with colleagues and friends where Jason and I could dance together like we once did in college. Grateful for the four little faces to excited to see us the next morning. My wish for you this holiday season is that you get to hold those dear to you in your arms, that you get a turn to sleep in late, and that you get to continue your holiday traditions whatever they may be. If you're looking for us, we'll be sweeping up crumbs from under the table and recycling used wrapping paper, and not minding it one bit!